See how affordable health insurance rates are in your area by entering your zip code now. Colorado Bankers Life insurance Company does not maintain its own website, choosing rather to be part of the Dearborn National site. Nonetheless, the Dearborn National site provides all of the necessary information consumers might need to know. The information provided applies to all of the companies operating as part of the group. The other two group companies include Fort Dearborn Life Insurance Company, and Fort Dearborn Life Insurance Company of New York. The New York affiliate is licensed only to do business in that state. The company’s health insurance products are considered supplemental rather than primary. That means that covered employees would not be using Dearborn National for routine visits, short hospital stays, and anything else primary insurance would cover. Colorado Bankers and Dearborn National health insurance products are designed to be utilized only after your primary health insurance has been exhausted. As a means of reference, Colorado Bankers provides supplemental health insurance in several different forms including critical illness coverage, full dental coverage, and supplemental disability coverage. On an interesting side note, Dearborn National’s dental program is among the most utilized in the country, yet many individuals do not know they are using it because it is part of a broader package offered by another provider. As a provider of supplemental insurance, the claims service provided by Colorado Bankers is significantly different from that of primary providers. Colorado Bankers and Dearborn National work directly with the insured individual, not your doctor or health care facility. This is also known as third-party billing. Under third-party billing the consumer pays for his own care, and then sends a claim form in order to get reimbursement from Colorado Bankers. 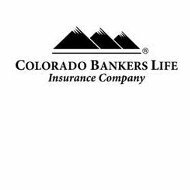 Being that it is supplemental insurance, filing a claim with Colorado Bankers may be a bit more complicated than if they were a primary provider. It is assumed that the guidelines are stricter, the amount of coverage offered is limited, and rules regarding when this supplemental insurance kicks in are probably very specific. Questions about supplemental insurance should always be answered thoroughly before individuals attempt to make claims. Often individuals are frustrated with supplemental insurance simply because they do not understand how it works. A search of business records indicates that there are three primary locations for Colorado Bankers and Dearborn National. We have listed information on all three offices for your convenience. Like many other insurance groups of this nature, Colorado Bankers does not host its own job listings individually. Rather, all three companies in the group post their job listings together on the Dearborn National website. That website provides a career’s link, which allows interested job seekers to browse listings based on geographic location, job category, or individual job title. The site currently lists 19 openings in cities like El Segundo California, Overland Park Kansas, and St. Louis Missouri. Each individual job posting includes the location of the position, a brief job description, requirements for candidates, and instructions on how to submit a resume. Below the job listings is a statement where candidates must be knowledge that Dearborn National is part of the federal government’s pilot program known as E-verify. E-verify is a new system by which employers can check on the identities of prospective employees as well as their eligibility to work in the United States. The statement makes no claims of accuracy or whether or not information gleaned from it would a person’s chances of being hired. Since this is a pilot program, it must be assumed that Dearborn National would provide for some leeway if inaccurate information were retrieved. Use our free search tool below to find health insurance rates in your area, by simply entering your zip code now.